India’s civil aviation minister, Ajit Singh announced today that the government has envisaged an investment of $12.1 billion in the airport sector during the 12th Plan period. 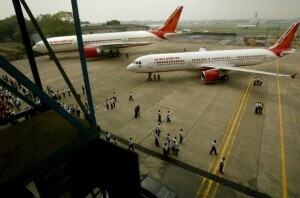 The minister was launching the “India Aviation – 2014” today in New Delhi. India’s rapidly expanding air transport network and opening up of the infrastructure to private sector participation have fuelled the growth of air traffic. “Indian government has envisaged investment of US $12.1 billion in the airports sector during the 12th Plan period, of which $9.3 billion is expected to come from the private sector for construction of new airports, expansion, modernization etc,” said Singh. A recent report by the International Air Transport Association (IATA) has predicted that India is poised to become the largest aviation market by 2020. Among the recent batch of reforms announced by the government was the decision to allow 49 per cent Foreign Direct Investment (FDI) in the aviation sector. The aviation minister today said the move was made keeping passenger convenience in mind, as more foreign carriers would increase options for fliers and bring down airfares on overseas routes. “Some carriers like Tata – Air Asia and Jet Airways – Etihad have already announced their collaboration which is expected to boost civil aviation both domestically and internationally,” he asserted. India’s major airline firm Jet Airways (India) has approved a proposal last month to allot a 24 per cent stake to Etihad Airways PJSC of Abu Dhabi for $379 million. India is set to handle 336 million domestic and 85 million international passengers by 2020, making India the third largest aviation market.